During the holidays, it is especially difficult to find grieving loved ones a gift. Our suggestion? Get your friend something that serves as a connection between them and those they’ve lost- A gift Turning Grief to Grace®. Believe it, or not, cremation jewelry and memorial jewelry have been common gifts given to the bereaved since the mid 1800’s Victorian Era, and we at Treasured Memories® are not new to understanding the many different ways our loved ones grieve. Part of this, is to realize just how special cremation jewelry and memorial can be to those you love. An antique Victorian Era mourning jewelry made with Whitby Jet Stone. During the Victorian Era, black jewelry was not only stylish, but it was considered to be the absolute height of fashion. Shell Cameos, baroque referenced embroidery and heavy guiding, and Jet jewelry were as popular as mourning jewelry, Dracula, and serpent symbolism. It makes perfect sense, then, for fashion to move toward embracing death in its ensembles by way of jewelry. Like amber, pearls, coral and ivory, Jet is an organic gem. It is a type of brown coal that forms as a result of a fossilized wood from a specie of tree that flourished during the Jurassic period. Millions of years later, the mining of Jet began in the town of Whitby during the 1840’s and was quickly adopted into fashion’s new trend, and gave birth to the term, ‘Jet Black’. Jet gained its international acclaim after being showcased in the Great Exhibition of London in 1851. But, how did the trend make the transition from black jewelry to mourning jewelry that actually held pieces of the deceased loved one? After the sudden death of Prince Albert in 1861, the widowed Queen Victoria began a mourning period that would last forty years, until her own death in 1901. Queen Victoria’s physician promoted cremation for sanitary reasons (believed to prevent disease within a growing population), and at the same time, the courts announced that everyone should follow the mourning dress code of black, and “the jewelry shall be jet”. 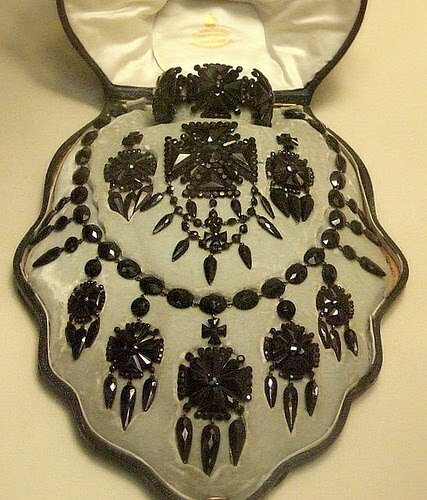 This sprang into action the idea of creating utilitarian Victorian Era mourning jewelry. Cremation having been viewed as a taboo in Christian and Catholic churches leading up to this time, the next few years opened the conversation of new ways to memorialize and celebrate loved ones that had passed away. And for those who held reservation about cremation, it allowed them to keep a bit of their loved ones with them in tact. Where cameo brooches had popular imagery of Greek and Roman figures, Jet jewelry was a new medium for necklaces to have portraits of those you loved carved into them. 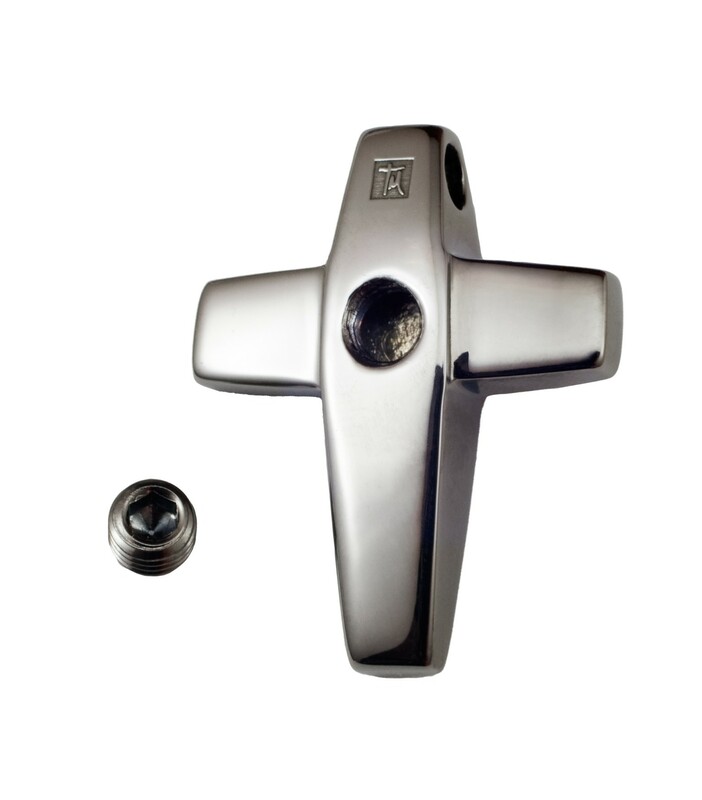 With portrait jewelry came monuments, the collection of hair, the preservation of artifacts and the adoption of the Celtic Cross– all popular to incorporate into the jewelry’s design. All of this, leading up the most modern and user-friendly designs at Treasured Memories®. Instead the extremely rare and ultra-expensive Jet stone, we’ve used black onyx and a beautiful Black Rhodium dipping process to finish our highly customization friendly collection. 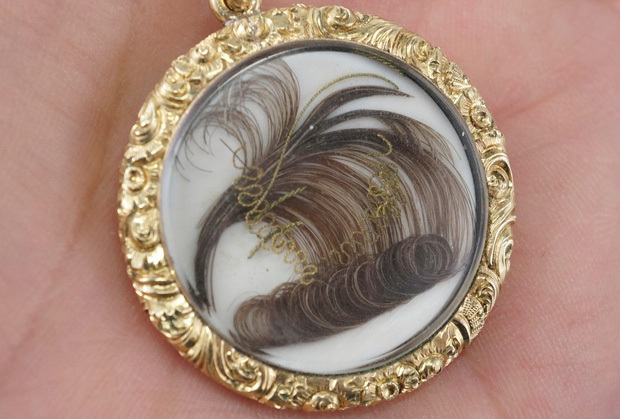 An antique Victorian Era memorial jewelry piece that encases Human Hair from the deceased. Funerals and memorial services work to give support and closure to the bereaved. Similarly, Urns can be a more of a public display of loss, being large and displayed openly in one’s home. Cremation, Mourning, and Memorial Jewelry are more personal ways your friend or loved one can honor the deceased in their own way. During this time of sorrow everyone can find a reason to smile recalling a favorite moment with your friend and loved one, with their loved one kept close at heart. All this, so the one you miss can be preserved and shared with others for many years to come. 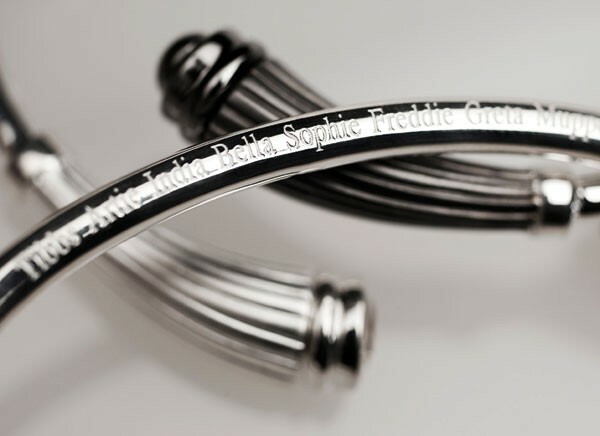 We also offer engraving options to add an elegant, inspirational design to all your Treasured Memories®. Above all else, we at Treasured Memories® recommend giving your presence and love as a gift this holiday season. After all, they are often all you need to help fill the void in your friend’s life. Treasured Memories® offering a true memorial jewelry piece to be treasured forever.